You may do a review on this page by scrolling down to the bottom of this page and click on Add New Comment or you may go to either one of these links: Or any below! Lori Frazer Croasdell recommends Checked Right Home Inspections. Ron is an amazing inspector. We have used him twice and he finds everything. I appreciate his expertise and knowledge about homes. He made some excellent suggestions that we are going to implement in home we are buying. He also saved us from buying a home that had a lot of issues. Colton Williams recommends Checked Right Home Inspections. Ron is top notch! he pointed out not only major things, but everything!!! I'm glad he inspected my home before actually purchasing it. thanks Soo much Ron! Great guy! He took his time explaining things to us and showing us examples. He was personable and kind. Ron was very knowledgable and thorough. Crystal Laasanen recommends Checked Right Home Inspections. Very knowledgeable and pays attention to details! Would definitely recommend! Jan Johnson recommends Checked Right Home Inspections. Recently I had a Pre-sale Inspection by Checked Right. Ron was a breathe of fresh air after so many people taking advantage and not doing a good job. Ron was extremely thorough and knowledgeable. He was very detailed in his report and very professional. I now feel informed and more comfortable about what needs to be done and how to price my home. I recommend Checked Right to anyone needing an inspection on their home or anyone in the market to purchase. Shanda-Lyn Webb recommends Checked Right Home Inspections. Ron was prompt, friendly, thorough, and made the home buying process much less daunting than I had anticipated. When we met at the house to go over the report, not only did he go over everything he listed in the report with me, but he also gave me little pieces of advice for little things around the house that weren’t “broken,” but could be better. I couldn’t have asked for a better price or experience. I would recommend Checked Right to anyone buying a home. ★★★★★ Very candid and straight forward. The report was emailed and looked very professional . The inspector was very thorough. I have no complaints. Will use again for next purchase. Submitted by Anonymous on Mon, 10/29/2018 - 5:24pm. Very friendly and professional. Ron does a thorough and informative job. Tells you what you need to know and more. Submitted by Anonymous on Mon, 10/01/2018 - 6:12pm. 5 ***** company. Mr. Ron Gurgol is knowledged in his field, very thorough, professional, and affordable. Reports are easy to read and he explains in detail to your understanding. Will recommend him. Corey Elmore recommends Checked Right Home Inspections. Very thorough and affordable, and quick to get the inspection back to me. Could not be more pleased with him! Very thorough! Definitely made us feel like he was working for us, ensuring we were made aware of any problems, big or small/ current or potential. Thank you for all you time it's so appreciated!! Kyle DeMent recommended Checked Right Home Inspections to Kimberly Jo Swisher. I used Checked Right Home Inspections on all of ours. This guy is like inspector gadget he is very detailed. He will tell you want is a must fix and a should fix as well as how to do it. Then sends all that broken down by importance with pictures to your email. He won me over for all my future use. Guys name is Ron Gurgol from Salem. Submitted by Lauren Stinson Tue, 07/17/2018 - 8:05pm. I waited to give a review until I had lived in the home for a few weeks. Nothing big was missed. Ron was very nice and very helpful to me as I am a first time home buyer and was naive to some things to look for. I will use Checked Right again in future. Very candid and straight forward. The report was emailed and looked very professional . The inspector was very thorough. I have no complaints. Will use again for next purchase. Submitted by Anonymous on Thu, 04/19/2018 - 10:27pm. As ron walked me through the inspection he gave me quite a few handy tips on home repairs. Very informative. His knowledge and experience showed. Highly recommend. January 6 at 3:57am · Ron was amazing. This is our first time buying a home, so we didn’t know what to look for, or even what to expect. Ron treated us very professional, and walked us through everything. He answered all our questions and made sure we understood everything. He did an awesome job in making sure our first home was in good condition! +++++ Ron was very friendly and considerate. He walked through all of what needed to be taken care of and explained things very thoroughly. His prices were the best we found. We were both very happy with his service and if you are a first time home buyer like us I highly recommend him as he made it very comfortable and stress free. Ron was very professional and thorough. He even took the extra time to explain how I could fix a lot of things myself. On top of it all he was the most competitively priced inspector in southern Indiana. I was extremely satisfied and would recommend to anyone! SUBMITTED BY ANONYMOUS ON FRI, 12/01/2017 - 10:54AM. I had Ron inspect 4 houses before I found the right one!!! I needed to find a home that was easy maintenance and through his inspections I found the perfect one for me. I am so thankful I found him, as he stands above the rest and is exceptional. He found important things that other inspectors missed or had never noted. He is 100% professional and detailed cares about informing his customers of his findings and making sure they understand any issues needing to be addressed. He crawls into the tightest crawl spaces where others won't go, goes onto the roof and into attic, checks appliances and outlets, and plumbing and does not take any shortcuts on his inspection.If you want the real truth about your house or a house you are buying he is the only one I would trust. Without him I would have purchased problem houses or ones with dangerous issues to deal with. Thank you Ron! I will soon be moving into a well built house and am confident about my purchase!! Ron Gurgol did my home inspection and i felt that he did a superb job. He was very professional and thorough while inspecting the home. As he did his walkthrough with me he took his time not only explaining his findings but gave advice and suggestions on how they should be properly corrected. I will definitely use his services again and I would highly recommend him for home inspection needs! Thanks again Ron! Ron was great to work with. Incredibly thorough. Very knowledgeable and experienced. He wrote a manifesto of a home report. The amount of detail this guy put in really impressed me. His prices are very reasonable for the service he provides. Lastly, of all the contractors I had over to the house, Ron was the only one that wore shoe covers on a rainy day, and I was not even at the house until he was about finished. 5-Star Ron is a true professional. He has decades of experience, took his time, was very thorough, and answered all of my questions. Highly recommend. Ron made a last min call happen and on a holiday long weekend! He was very knowledgeable and will definitely be using him again in the future. Will also be recommended to everyone! Polite and great to work with! Also the insight and extras he gives you is worth every penny! Submitted by Anonymous on Thu, 08/31/2017 - 4:36pm. I used Ron Gurgol for my home inspection 3 years ago, and had my sister use him 1 1/2 years ago when she moved. My daughter is buying her first house and I suggested Ron Gurgol. I tagged along as I had on my Inspection and Ron was very good at explaining answers to my questions. I highly recommend his service. Submitted by Anonymous on Tue, 08/08/2017 - 12:19pm. We had our house inspected prior to listing it on the market so we wouldn't have any surprises. Ron did a fantastic job! He was super friendly, answered questions, and was very professional and thorough. I was nervous about the inspection because we have an old house, but it ended up being a lot better than I had hoped. Ron was great and I'd definitely want him inspecting any home I was selling or buying. Or before any major repairs. Submitted by Anonymous on Mon, 08/07/2017 - 9:42am. My husband and I called Ron after we read his wonderful testimonials. We needed his help to check for mold in our basement(as I have been recently diagnosed with Lyme disease). We were looking for an honest opinion. Ron was terrific ! He was prompt and knowledgeable. He was nice enough to help us with additional questions that we had unrelated to the mold. Ron pointed out other items that need to be addressed. He did not act like he was in a hurry and answered all of our questions. He saved us $5000 for needless mold remediation ! I would highly recommend him for anything to do with inspections(and helpful tips) ! Thanks Ron ! Submitted by Anonymous on Thu, 07/13/2017 - 4:02pm. Thank you Ron for a great home inspection. You were great to work with. I really appreciated all of your experience, hard work and attention to detail. Your very thorough report and advice will be a huge help when settling into the new home. I would recommend Ron to anyone in need of a great home inspection. Submitted by Anonymous on Thu, 07/13/2017 - 9:44pm. Another great inspection done by Ron Gurgol! We used him for our last house and no question to use him again for our new one! If you need an honest inspector he's your guy! Ron is helpful, honest, and takes the extra time to go over everything with you. He was patient and stayed as long as we needed to make sure we understood everything on his report. His prices can't be beat AND his service and knowledge is top notch! Thanks again Ron! Just want to give a shout out to Ronnie Gurgol with Checked Right Home Inspections for being an awesome inspector always! If you ever need an inspector definitely consider him! Submitted by Anonymous on Mon, 06/19/2017 - 6:24am. Ron inspected our newly built home and did a excellent job. He also gave us plenty of home maintenance tips and I highly recommend him to anyone looking for a professional home inspector. Submitted by Anonymous on Mon, 06/19/2017 - 5:31pm. We were buying a home from out of state and Ron was so easy to work with. His inspection was thorough and gave us the information that we needed to negotiate with the seller for repairs. Even after additional issues popped up that couldn't be seen on the initial inspection, Ron was there right away the next morning to advise us on how to best proceed. He is knowledgeable, personable, and honest. Thanks Ron! Submitted by Anonymous on Wed, 06/07/2017 - 6:15pm. We recently hired Ron Gurgol to inpsect our new home and we're thoroughly pleased at his professionalism and friendliness. He did a very thorough job of inspecting and communicating any issues. We were very pleased with the service he provided! My husband and I searched around and found Ron on the internet. He was very professional and seemed eager to do our home inspection. He was thorough, communicated well, and had great prices! We were thrilled with his service, and look forward to using him again in the future! Thanks Ron! Ron, we will definitely refer you whenever we get the chance. You were very thorough, knowledgeable and friendly. We really appreciated the time you took to explain everything. I found Mr Gurgol very through and explained everything precisely. I would recommend him to anyone. A realtor friend highly recommended Ron for my home inspection. I was not disappointed. Ron was very personable, professional and thorough. His attention to detail is remarkable. He answered all my questions clearly and even had advise and recommendations on the changes I had in mind for the house. Thanks to Ron, I know EXACTLY what needs to be done to my new home. Submitted by Anonymous on Mon, 04/24/2017 - 8:53am. Thanks Ron for your quick and very thorough home inspection. You were very informative through the entire process and you taught me a lot. I will definitely recommend you to anyone I know that needs an inspection and will use your services again if and when the need arises. Ronnie Gurgol did a fantastic job of inspecting our newly built home! His expertise really came in handy, as we were then able to meet with our builder and request repairs/changes before moving in. He was quick, but very efficient. Ron explained his report to us in a way that truly gave us an understanding of his findings. We will not hesitate to recommend Ron to our friends! Excellent service!! Mike Spalding and Karen. Ronnie Gurgol is the best home inspector ever. He went above and beyond expectations of an inspector, and he even took off our hands something that we didn't want in our yard. Thanks for answering all our questions with kindness and patience, and thanks for all your hard work!! P.S. If anyone needs a home inspector...he's your man. Ron did an amazing job inspecting a house I was looking at. He was very accommodating, answered both my questions as well as my dads (who came with me, since I wasn't sure what questions I should ask). He impressed my father, and taught us a lot, what to look for, what not to do, what he would recommend,how to fix some simple solutions. He was friendly and funny, and all in all a hard worker,he took three full hours to inspect the house, showing me everything he was doing,where everything was, explaining the structure of the house too. I would always recommend Ron, and will use him again here soon. "Ron is very knowledgeable about homes and their construction. I have not had one customer not happy with Ron's work." Ron did the inspection for the house my son is purchasing. He did an awesome job! Very thorough and professional. He took his time on the inspection and also went over his findings with us. I would highly recommend him. I feel like it was money well spent! If you are purchasing a home this is the person you want doing your inspection! Thanks so much! Submitted by Anonymous on Thu, 02/23/2017 - 2:19pm. Ron was absolutely wonderful to work with on our home inspection. As first time home-buyers, we were very nervous at first. However, Ron made the inspection process painless and pleasant! He took the time to point out potential problems, and even gave us instructions on how to go about fixing the issues. He is professional, personable, thorough, detailed, and reasonably priced. We will definitely be going to him with all of our future inspection needs. Thank you so much, Ron! Submitted by Anonymous on Fri, 02/17/2017 - 9:16pm. Ron was a god send for our inspection. It is an old log home and he had his work cut out for him. He was wonderfully informative, and let my husband tag along while he inspected, and explained to him everything we needed to know. By the time he left, he felt like family. I would refer him to everyone I know! Submitted by Anonymous on Sat, 02/04/2017 - 9:06am. He takes his time, shares his results with you in full details, and answers any questions you have. I have never met him, but he seems like a kind and trustworthy person. I would definitely recommend his services to others. If you're in need of an honest and thorough home inspection at a reasonable price Checked Right is the way to go. Ron was very helpful pointing out every thing wrong with the home and how he would advise fixing it. There was no rush at all while he went over every detail of the home with me. Highly recommend. It has been a busy day! I just posted a picture of my buyer Denise Greer after her closing today. I was trying to remember everyone who held an important part in getting this to the closing table and I forgot a very important one. Special thanks to Ronnie Gurgol with Checked Right Home Inspections. This was my first transaction with Ron and he was fantastic to work with. He took time not only with my client but also with me in answering questions I had while preparing a response form to the inspection. If anyone is looking for a great home inspector, give Ron a call! Ron is great! This is the 2nd home he has inspected for me. He does a thorough job, he is nice, on time and explains his reports even when I ask stupid questions . I search him out every time I need an inspection . Submitted by Anonymous on Sun, 11/13/2016 - 5:31pm. Ron provided a very thorough and honest inspection for a house I was looking into. He was very patient with me when I had many questions to ask. He explained everything to me in detail and is very knowledgable about his work. I am going to use him again for a second house that I need inspected soon! We have used him to do 3 home inspections in the past couple of years and every single one was done very well. He is very thorough with his work. The way he operates his company is centered around being as convenient as possible for the customer. Overall a very knowledgeable and nice person to work with. My experience with Ron was great! He was extremely thorough and left a very well detailed report. I learned many things following him around during the inspection and would recomend him to anyone looking for a home inspection. Thanks again Ron! Ron did an excellent job inspecting the house for us. He is responsive, punctual, thorough and very detailed and complete. Submitted by Anonymous on Fri, 09/16/2016 - 22:06. Submitted by Anonymous on Tue, 09/06/2016 - 09:23. Ron did an excellent job. He spent several hours inspecting my building. He provided a very detailed report with color pictures and arrows pointing to concerns. I will not buy another property without having Ron inspect it first. Very reasonable price, well worth it. Great experience, great guy. Went above and beyond all my expectations. Was very specific and very detailed with the inspection. Also, will give you recommendations on how to improve things that may be of concern in the future. On top of it all, his prices are great. Thank you much!!! Ron was great! I appreciate that he not only wrote up the inspection but he took the time to explain it and show me what he was talking about. He answered every question and made sure I understood. I received my report in a timely manner and it was easy to read. Thanks and keep up the great work. Submitted by Anonymous on Tue, 08/23/2016 - 15:40. 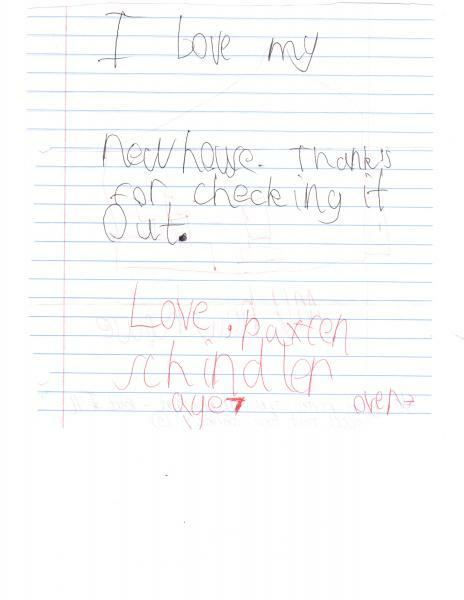 Thank you Ron for your thorough home inspection. My wife and I are very appreciative to have someone that we trust to complete such an important part of the home buying process. We definitely will refer you to others and be sure that you are the one that we use in the future. Submitted by Anonymous on Tue, 08/16/2016 - 11:51. Ron with Checked Right performed my inspection back in March 2016. He was courteous, professional, easy to understand and prompt. Ron conducted a thorough inspection from top to bottom. We had to reschedule three times as it was a bank owned property, and he did so with no problem. I highly recommend Ron and will definetely use him again if the opportunity presents itself! Submitted by Anonymous on Thu, 08/04/2016 - 10:15. Ron was wonderful. I can't thank him enough for the how detailed he was. He even went on the roof and in the attic to check everything out. And he willing answered all my questions (this is my first home so I had a lot). I would recommend him to anyone who is needing a home inspection. Submitted by Anonymous on Wed, 07/27/2016 - 19:05. Ron with Checked Right was courteous, professional and prompt. Ron conducted a thorough inspection from top to bottom. Excellent job. Submitted by Anonymous on Fri, 06/17/2016 - 18:56. I wanted to thank you from the bottom of my heart on the wonderful inspection you did for our family. I believe you go above a beyond when you do your work. Submitted by Anonymous on Thu, 06/09/2016 - 21:28. Ron did a great job on short notice. I would recommend him to anyone. Submitted by Anonymous on Tue, 05/10/2016 - 23:41. Ron did a great job for my inspection. He was able to get to me on somewhat short notice, he explained things to me, and did it all in a friendly and professional manner. I would recommend him anytime. Thanks Ron. I am new to the area and in the process of buying a home. I was told by several people to contact Ron (checked right home inspections) because he did such a great job with their inspections. Ron did not disappoint. He was very thorough with his inspection of the house and answered questions when I voiced my concerns about certain areas during the inspection. He emailed me the results quickly. I received them that night as a matter of fact and he sent them to my realtor as well. I would recommend checked right home inspection to any buying a new home. Submitted by Anonymous on Mon, 05/02/2016 - 14:21. Thank you, Ron! You were a great help in getting the house inspected and very accommodating to our need for a quick turnaround. Thank you for all of your help! Ron was the inspector on the house I was selling and I was so impressed with the how complete his inspection was that I also used him to inspect the house I am purchasing. Did a great job both times, very through and professional. Will certainly recommend him to friends and family in the future. Good job, Ron. Thanks. Submitted by Anonymous on Tue, 04/19/2016 - 10:51. I can't say enough good things about the work Ron did for us to complete the inspection of our recently purchased home. He was quick to work us into his schedule and did an awesome job. I would recommend his services to any family member or friend. Submitted by Anonymous on Mon, 02/01/2016 - 16:54. Ron did and does a wonderful and thorough inspections. He takes the time to explain everything completely. Very nice and easy to talk to. Quick response to setting ups appointments. Have and would refer him to others. Submitted by Anonymous on Wed, 01/27/2016 - 19:17. Ron did a wonderful job. I was pleased with how quickly he was able to schedule our appointment. He was very thorough in his inspection, and helpful in providing solutions to fixing any issues he saw. I am impressed by his dedication, he encouraged us to call anytime in the future (even years) if we had any questions and offered to "swing by on his way to the hardware store." Highly recommend, Ron Gurgol. RON DID A GREAT JOB HE WORKED Submitted by Anonymous on Tue, 12/29/2015 - 22:30. Ron did a great job he worked us in the schedule very quickly the overall inspection was very professional I will recommend Ron to anyone that needs a thorough home inspection. Thank you Ron for working with me during the home-buying process! I appreciated your thorough, well-organized report and helpful tips and advice. I would definately recommend Checked Right Home Inspections to anyone in need of a home inspection! Thanks again! Renee' and I were very pleased in working with you. We found your inspection of the home both thorough and professional. We were very grateful to have been introduced to you by Dave Davis. We will definitely recommend your services to other home buyers. Submitted by Anonymous on Wed, 09/30/2015 - 10:39. Ron was very pleasant and gave a wonderful detailed home inspection. Would recommend! Submitted by Anonymous on Tue, 09/29/2015 - 17:17. Recently had a custom A-frame inspected by Ron Gurgol. He was very professional in his inspections and presentations, he showed me all problem areas and gave me fixes for each. His inspection report is very well put together, easy to read with great pictures and details. I would recommend Ron to any home buyer. Submitted by Anonymous on Fri, 09/18/2015 - 09:26. Ron did an awesome job on our home inspection. Was on time and very courteous. Pointed out alot of little things that we could fix once we moved in and also found 2 major problems that needed to be fixed before we bought the house. I would highly recommend anyone looking for an inspector to use Checked Right Home Inspector. Ron does a GREAT job on inspections. My clients really like him. He knows what he's doing!!! Submitted by Anonymous on Thu, 08/20/2015 - 14:31. Ron did a very thorough job of inspecting my home prior to purchase. He is extremely knowledgeable and even took the time to point out some things that are within "code/requirements" but could be improved upon. He offered several suggestions on how to improve the efficiency of the home to reduce utility costs. Ron was very punctual to our appointment and delivered the inspection report same day with lots of details and photos. He took the time to answer all of my questions and insured that I understood everything, speaking in terms easily understood. I would strongly recommend Ron to anyone needing a home inspection for a potential home purchase or even for their existing home to understand how they can improve it for themselves or future sale. Submitted by Anonymous on Wed, 08/12/2015 - 20:22. Ron's service was simply great. His website made it easy to schedule a time. I wasn't able to be there for the inspection, but he sent me a THOROUGH pdf outlining everything. It was about 28 pages with pictures. It addressed everything from major problems to minor ones like a clogged sink. I highly recommend his service. It was slightly cheaper than others I found online. I'm totally satisfied. Thanks Ron!! CHECK RIGHT HOME INSPECTIONS-JEFFERSONVILLE GREAT JOB!!! Submitted by Anonymous on Sat, 06/20/2015 - 23:22. Ron that you can trust to let you know if you are making the right decision in purchasing a home. I would highly recommend Ron to anyone that needs a home inspection-HE IS THE BEST!!!!! Submitted by Anonymous on Tue, 06/09/2015 - 03:39. Our family would recommend Ron to anyone needing a home inspection. We have used his services 2 times and both have been an excellent experiences. He is detail oriented and puts forth his best work in every inspection. He is very personable and walks through the home not only telling you problems he found but ways to save money. He answers every question and is prompt. Ron takes care of everything when coordinating the inspection with home owners and realtors. After the inspection he sends a professional typed report covering every problem that he found. The report is easy to read and includes pictures of all problems. On top of the quality work he also offers unbeatable prices. Ron significantly beats his competitors prices. He is truly a shining star in his line of business! Ron was absolutely amazing to work with! There was not a single thing he missed during our inspection. He help us make a informed decision on the purchase of our home. I would highly recommend him! This was my first experience. I was in constant touch with him. I had no idea how in depth he is. Do not go to anyone else. He is the best. Submitted by Anonymous on Wed, 05/27/2015 - 23:27. Ron did an amazing job. He was very professional and super informative. He took his time explaining his findings and made recommendations how to properly rework or repair any and all issues. His report was very well laid out and easy to follow thanks to format which included tons of pictures and addtional information. If you want a complete and thorough home inspection at a very reasonable price call on Ron. The name says it all all. I highly recommend checked right home inspection. Submitted by Anonymous on Fri, 05/15/2015 - 05:28. I was extremely pleased not only with the thorough report, but with the entire process! It was so easy and convenient to schedule our inspection online and the turn-around time exceeded my expectations. During the inspection, Ron patiently answered our questions and provided valuable insights about the home we are in the process of purchasing. The report we received was detailed and informative, plus, we received it in record time! Our Realtor recommended Ron and we're so glad she did! Thank you, Ron, for finding things in our soon-to-be new home that will make it safer (some electrical issues) and more enjoyable (some hvac issues) for us! We appreciate you,Ron, and would recommend you to anyone needing a home inspection! T.G .F.R = THANK GOD FOR RON! Submitted by Anonymous on Tue, 05/05/2015 - 16:59. We are saddened that our "dream home" turned out to be a money pit.. but now BEYOND thankful that Ron was on the job doing what he does best! We would recommend his services to anyone! Ron's the best! ABSOLUTELY THE BEST HOME INSPECTOR IN SOUTHERN INDIANA. Submitted by Anonymous on Thu, 04/30/2015 - 23:05. Ron was recommended by area contractors. We decided to use Checked Right Home Inspections on our new home purchased in the country. We were new to rural homes and needed an inspector to help us make an informed decision. Ron did not let us down. Not only did we get a thorough inspection, but Ron educated us regarding our heat, septic, and suggested future improvements to our berm built home. I highly recommend anyone purchasing a home schedule their inspection with Ron Gurgol and Checked Right Home Inspections. Submitted by Anonymous on Thu, 04/23/2015 - 08:02. Ron came out in 10 inches of snow in the bitter cold to do my inspection. The weather did not slow him down, he did a very thorough and professional inspection. He gave me tips on how to make my house more energy efficient. I give him 5 stars, very happy customer. Thank you Ron. Submitted by Anonymous on Sat, 02/21/2015 - 14:39. Excellent job Ron!! Thank you so much for the wonderful inspection and the advice on how to improve certain areas. We are more than satisfied with his inspection and loved the detail and the time he puts into it. Ron is very professional and very impressive! Thank you again Ron for such a fabulous job!! HIGHLY RECOMMENDED! Roxann Polen Totten thank you Ron for doing such an amazing job and for giving us pointers on how to make improvements you did an EXCELLENT EXCELLENT job!! highly recommended! Submitted by Anonymous on Thu, 02/19/2015 - 23:51. Ron did an amazing job inspecting every inch of our home we had an offer on! He was very meticulous in his findings and explained everything very well to us! He even stayed a few extra minutes so we could do some room measuring for our furniture! As soon as Ron was finished with the report he contacted us immediately to view it. The report was user friendly, detailed and included pictures to help with his findings. It was great to get all of our inspections complete in one day with one person! Ron was very personable and approachable about any and all questions. I highly recommend Ron for any of your inspection needs! To all my realtor friends... I highly recommend Checked Right Home Inspections for your buyers. Ronnie really makes sure the buyers are purchasing a good home. He's quick and professional too. Amber Brewer 2/10/15 — Great job! Super friendly, and looked at EVERY nook and cranny!! Very, very pleased with Ron's inspection. Submitted by Anonymous on Tue, 02/10/2015 - 22:56. We had Ron do our home, pest, septic, and foundation inspection. Yeah, he does all that and more! Don't waste your time trying to schedule multiple people when Ron can do it all in one shot. He contacted us IMMEDIATELY after submitting our online form and was able to do our inspections just 2 days later. His prices are terrific and we received our report the same day as the inspection! If you want quick, professional service, contact Ron today. Submitted by Anonymous on Sat, 01/31/2015 - 20:12. I would recommend Ron Gurgol to anyone who may want their home inspected for any reason. I wanted to have my elderly father's home tested for black mold but he did much more. He answered every question I asked him about my father's home, and then some. He pointed out problems and offered intelligent, common-sense solutions to each of them. If I ever need a home inspected, I will, without question, have Ron Gurgol do it for me. He is thorough, knowledgable, professional, and respectful. Submitted by Anonymous on Tue, 01/27/2015 - 14:55. Ron is affordable and thorough. He went through every aspect of the home I was purchasing and found things that I would've never looked for. It was the most in depth inspection I've seen. I would highly recommend Ron to anyone buying a home. John Manny Higgins shared Ronnie Gurgol's post. LADIES AND GENTLEMEN, BOYS AND GIRLS LISTEN UP! I want to introduce to you a gentleman who rocks it "Old-School" in the way he conducts business! DO NOT BE FOOLED BY HIS AGE, HIS CALM DEMEANOR NOR HIS "awe-shucks", engaging personality! This gentleman takes no prisoners when it comes to doing a thorough home inspection! Whether Ron was interrogating the roof with spider monkey-like agility, traversing the dark cavern of the attic, or crawling through some tight space which even the Great Harry Houdini might've had trouble maneuvering; this gentleman uses his 40+ years of experience, knowledge and a few secrets in the construction, home improvement and home inspection business to shine a spotlight in the face of his target...the property, and then, like a CSI forensics investigator with the tenacity of a Pitt-bul, he forces his subject to GIVE UP THE GOODS! As a former plumber and construction worker, it was not only exciting for me to watch Ron "WORK HIS CRAFT", but it was very helpful to be lead around the property and given practical, GOOD advice, in terms which easy to follow and understand; and would not only increase the life of our house (a huge, major investment) but increase its curb appeal at the same time! If you need a good, professional, HIGHLY experienced Home Inspector who not only knows his craft well, but one who truly enjoys helping people first and foremost, I want to highly recommend giving Ronnie Gurgol a call. From start to finish you will not only feel, but KNOW that he is your own personal Home Inspection CSI AGENT! "You're a gentlemen, a professional, and a credit to the industry. I thank you deeply and kindly for hard work, guidance, and information. I pray this is the beginning of a great friendship. Rest assured others will hear of you from us. I will also strongly advise Lewis and Tracy to add you to their list of professional service providers." Submitted by Anonymous on Tue, 12/23/2014 - 16:37. Friendly, thorough, confident, informative, great insight, and all round AMAZING at what he does. Not only did he find the problems he told me the easiest and cheapest way of fixing them permanently. The report he gave me after he was done was easy to understand for a person with no prior knowledge of construction. Thank you so much for doing what you do! Ron is INCREDIBLE! He totally went above and beyond for us. We went through a really rough process, and as first time home buyers we were terrified about the inspection and unexpected costs and whatnot, but his prices are wonderful and he's SO thorough! He's by far the best and most detailed home inspector out there. I would recommend him to absolutely everyone! Ron and Checked Right Home Inspections saved the day! We had a last minute inspection that had to be completed on a borrower's home that wasn't realized until the day of closing. In nationwide lending it is often hard to develop working relationships with the third parties that are important to each transaction and therefore very difficult to ask for such favors. Without any contacts in the area, I frantically searched online to find an inspector and upon reaching Ron, I knew that our worries were over. After contacting him in the morning, he was able to meet the client at the house accommodating her schedule and returned the inspection to us later that afternoon. Less than five hours passed between the first contact and our inspection in hand and the "delay" if you can call it that, was due to the borrower's schedule! The inspection was thorough and because of Ron's efforts, we were able to close on the refinance for our client in time. I highly recommend Ron and Checked Right Home Inspections to everyone in the area! My clients used Ron and he was awesome! Went above & beyond! And customer service was excellent!!! I highly recommend Checked Right for all of your inspection needs!!! Submitted by Anonymous on Sat, 11/08/2014 - 11:18. Ron from Checked Right Homes Inspections is knowledgeable, experienced, thorough and professional. His insights both verbal and written report are straight forward and easy to understand. I would use Ron’s services again and highly recommend him for a home inspection if you really want to know what is going on. I would be glad to refer you to anybody needing a home inspection. Submitted by Anonymous on Thu, 10/09/2014 - 16:37. We couldn't be happier with our inspection! Ron knows what he's doing, and does it right! This is my our first time buying a house so my wife and I wanted to make sure that the inspection was done right and thorough, so I found Ron (my old Building Trades teacher) and I knew that he was a great choice. Upon my early arrival, Ron was at the home ready to go. Not only does he do a spectacular job on the inspections, but also gives insight on how to fix any problems that came up. I would recommend to anyone looking for a home inspection, hands down! Thank you Ron for everything you have done for my wife and I! Submitted by Anonymous on Wed, 08/06/2014 - 09:48. Ron came and inspected our condo. He did a fantastic job. Very thorough and answered all of the questions I had about the property. I was very pleased with his work. He was very polite and courteous. Thank you Ron for providing our home inspection. Your expertise was evident and valued. I appreciate your suggestions and our conversation during the inspection. Being new to this process, your professionalism and prompt service was very welcome. We will certainly recommend and utilize your service in the future when needed. Thanks again! Submitted by Anonymous on Mon, 06/02/2014 - 17:21. Ron called me within a half-hour of submitting my contact info on this site - fairly late at night. Had a situation where time was limited and Ron went out of his way to make things work. I was very impressed by the thoroughness of his work. He covered every inch of the property including a hard to reach attic and a crawl space that nobody deserved to dig through. The report and pictures make it easy to understand all issues. I would recommend Ron to anyone. Submitted by Anonymous on Sat, 05/31/2014 - 13:52. Ron did an EXCELLENT job on my home inspection and I will recommend him to all who inquire about needing a home inspector. From the beginning of the inspection process, setting the appointment time, to receiving the report findings, working with Ron was a pleasure and I felt very confident with his findings. Ron was very thorough with his inspection as well as communicating his findings to me while on site. He explained his discoveries and advice to me in very professional yet understandable terms. Ron spent a lot of time at my home and did not rush through the process AT ALL. I feel comfortable calling Ron with questions, should they arise, and I truly believe that he cares about the work he performs and works with the client's best interest in mind. Thanks Ron for setting my mind at ease with all of your information and GREAT communication about your findings! WELL DONE!! Submitted by Anonymous on Mon, 03/17/2014 - 11:35. Ron was spot on with our inspection and I was able to be present during the whole thing if I wanted. He found several items that were key areas of repair and gave great suggestions. He also which is way above and beyond took me around the house and showed areas to watch for and how to ensure the house stayed in best shape for many years to come. I recommend Ron and his company for all inspections and all family and friends I know looking for a house I have told them to call Ron for their inspections. I was so very glad I did. Thanks Ron. Submitted by Anonymous on Sun, 03/16/2014 - 23:14. We had the pleasure of working with Ron to do our house inspection. It was our first home that we would be buying and we were not sure of almost everything, since he knew this he had no problem in taking the time to answer all of our questions. Even having to simplify somethings even more when we still could not understand exactly what he was saying the first time. When we did get his report the next day it was very easy to understand because it was exactly what he had told us in person. The pictures helped too for things that we could not remember because it was a lot of information to take down in just a couple of hours. Helped us out so much and now we are in our first home, and we could not be happier. Thank you so much Ron, we will definitely be recommending you to our friends and family. Submitted by Anonymous on Sat, 03/15/2014 - 05:55. Ron was very nice and very easy to work with. He worked around my schedule to get inspection scheduled. He had our inspection scheduled within days of us talking. He was very through and very intelligent. He explained every thing in detail. He even offered to have us give him a call when we are wanting to replace our roof so he can tell us the best way it can be done. I got the report the night of our inspection. We paid exactly what we were quoted. We had an excellent experience overall. Submitted by Anonymous on Sun, 02/09/2014 - 20:30. Ron did a very good job with our home inspection. We purchased the home in October and Ron's inspection was acurate. He was flexible to work with and gave a detailed report. I would recommend him for inspecting a new home that you are looking to purchase. Submitted by Anonymous on Mon, 10/28/2013 - 15:12. 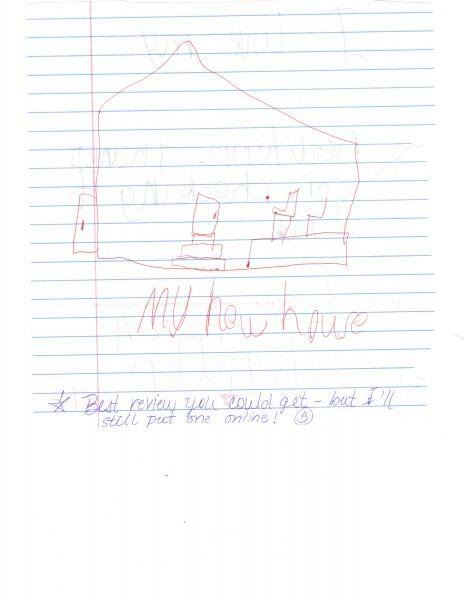 I was highly pleased with the home inspection done on the home we are purchasing. Mr. Gurgol was very thorough, easy to schedule with and very well priced. I would recommend him to do a home inspection for anyone I know. Submitted by Anonymous on Mon, 10/14/2013 - 13:13. I wanted to take a moment and thank Checked Right and Ron for coming out and doing our home inspection on our home. We are first time home buyers and we were unsure of all the things that needed to be done and gone over. He went through everything thoroughly and made sure everything made sense on the inspection sheet. Further investigating proved that our roof needed to be replaced and Ron was the person for us to call when our new roof went in to make sure everything was done correctly! I would recommend Checked Right to everyone not just first time home buyers. Submitted by Anonymous on Sat, 10/12/2013 - 21:48. Just had our home inspection completed on July 1st by Ron. This is actually the second time we've used Ron as our home inspector as he did a perfect job the first time around. Everything went great and I tagged along for the last 30 minutes or so for him to show me some stuff and to go everything that he had found. Thank you Ron! Submitted by Anonymous on Wed, 07/24/2013 - 23:49. Ron recently did our home inspection and being a first time buyer I wasn't sure what to expect. He was very informative, walked me through the whole house pointing out everything he found, big and small. He explained everything thoroughly and even gave me recommendations on how to fix some of the minor things myself. His prices are better than some others I checked and he's well worth it! I am very happy with the job he did and would recommend him to anyone who needs an inspection. Submitted by Anonymous on Wed, 05/01/2013 - 19:54. Ron Gurgol did my home inspection in Feb. 2013. Ron is very thorough, meticulous,and professional. He did a great job and gave me a complete and informative report, pointing out things that needed attention right away vs. things to monitor over time. Ron is very knowledgable about homes due to his background in home construction. I would recommend Ron to anyone who is seeking a professional home inspection. Ron was very willing to help and answer questions that came up even after the inspection. Ron also took very good pictures, especially of the crawl space which became very beneficial when a previous buyer had a different inspection. I trust Ron's professional opinion. You will be happy with the service you receive from Ron. Submitted by Anonymous on Fri, 04/26/2013 - 07:30. I did not personally meet Ron, but both my husband and the sellers of our new home both gave positive reviews. He was clean, quick, knowledgeable and honest. His pictures and comments on the final report were clear and concise. His prices were fair and his final report came back to us very quickly after the inspection was completed. I would recommend him to anyone buying a new home! Thanks again Ron, for a job well done! Submitted by Anonymous on Fri, 01/25/2013 - 13:39. Ron was very proffesional and pleasant. Performed inspection on short notice, and did a fine job where he pointed out things that we had not noticed after living here 12 years. Highly Recommended. Submitted by Anonymous on Thu, 01/10/2013 - 15:12. I called Ron after getting some recommendations and being thoroughly impressed with the website. I scheduled an appointment here on the website, and he called me within a half hour. We talked, e-mailed, and texted through the whole process, so he is high-tech and responds quickly. We scheduled the appointment within three days, and I had a thorough 32-page report with pictures within a day of the inspection being completed. He provided a quote before the inspection, and I paid the exact amount after it was done. The inspection was a fine-tooth comb for a 1940's house with a basement and plaster walls. I also had him check the septic system and for radon gas levels in the house. The seller was quite impressed and even a litte nervous after seeing how thorough Ron is. Ron analyzed the electrical system which ultimately lead to me getting a nice reduction in the purchase price from the seller. He evaluated the foundation and also the air flow circulation and provided tips for better ventilation. I could go on and on, but basically I am ecstatic overall with the experience. Thanks, Ron! He takes his job seriously in insuring all has been reviewed. He gave me tips to avoid termites. He thoroughly checked the very creepy crawl space for damages and up in the attic. As I was inside looking over the area with another contractor for HVAC, Ron was all over the roof, all around the foundation, photographing all issues explaining what needs to be done. Ron checked the detached garage for trouble spots. I was so lucky to have found him. I feel all the bases have been covered along with the photos and explanations of issues sent to me by email. I would recommend Ron to anyone needing their home inspected! Submitted by Anonymous on Mon, 11/19/2012 - 23:21. Ron saved my husband and I from buying a home that had the floor about to fall in, he made sure that we knew exactly what was going on and how much it would cost to fix it. We had him come out to the second house we planed on buying and he was great, went over everything. I would, and have, highly recommend him to anyone. He makes sure you know what is going on with a property, and is very friendly. If you are looking for the right person to inspect your potential new home, I would go to him. Submitted by Anonymous on Thu, 08/02/2012 - 16:57. I recently had a home inspection, and Ron did an amazing job. Not only did he pay attention to detail, but he showed he's knowledge by telling me how to fix things. I highly recommend Ron to anyone, he is reliable and a very careful inspector that will look at everything to make sure that your home is as safe as possible. Thanks Ron for everything that you have done. I will definitely be calling you if I have any questions. Submitted by Anonymous on Thu, 05/03/2012 - 13:43. Ron Gurgal was very knowledgeable & took time to talk to the Buyer about the property & explain any seen issues. He was very informative to me, being a real estate agent, as well. He did a great job and I would gladly recommend him to other people. Submitted by Anonymous on Fri, 04/06/2012 - 22:37.
very knowledgeable and very customer oriented. I was overly pleased with the job that Ron Gurgol did on my client's home inspection. Ron's attention to detail was second to none and his ability to deliver the inspection report in a timely fashion exceeded every expectation that I had. I would strongly recommend Ron to anyone looking to get a home inspection done. Job well done Ron!! I will certainly be using you again in the future. Yes, I would recommend. Over forty pages of info with special attention to areas I requested. Photos as well. Ron just wanted to thank you for a job well done. My son needed a home inspection done on a home he was in the process of purchasing. Ron was quick to work us into his schedule, was on time and done an awesome job. The return on the report was done in record time. Ron is a very personable individual, he was very helpful when finding a violation. I would most definitly recommend him for the job. That sounds like the Ron Gurgol I know! multi-talented craftsman, great job and attention to detail! Submitted by Anonymous on Sat, 09/03/2011 - 16:34. During our bathroom renovation, we had talked to several electricians, plaster repair-men, tile-specialists,etc. Ron was able to complete ALL of our tasks with care and experience. Other electricians told us that they would have to rip through our plaster walls in order to install a ceiling exhaust fan because we have a finished attic. Upon further inspection, Ron was able to find unfinished room in the attic right above our bathroom and install the fan from there, with minimal damage to the plaster ceiling. Ron also installed and updated our electric outlets as well as our electric boxes for our sconces and light switches. He did an amazing job patching and skimming our rough, chipped plaster walls and ceiling as well as applying our grout and buffing our tile better than other professional jobs I have seen! We would recommend Ron to anyone who needs an experienced, reliable and careful inspector or carpenter that treats your home as good as he would his own. Thanks Ron Gurgol for an informative and efficient inspection, I will gladly recommend you to others!